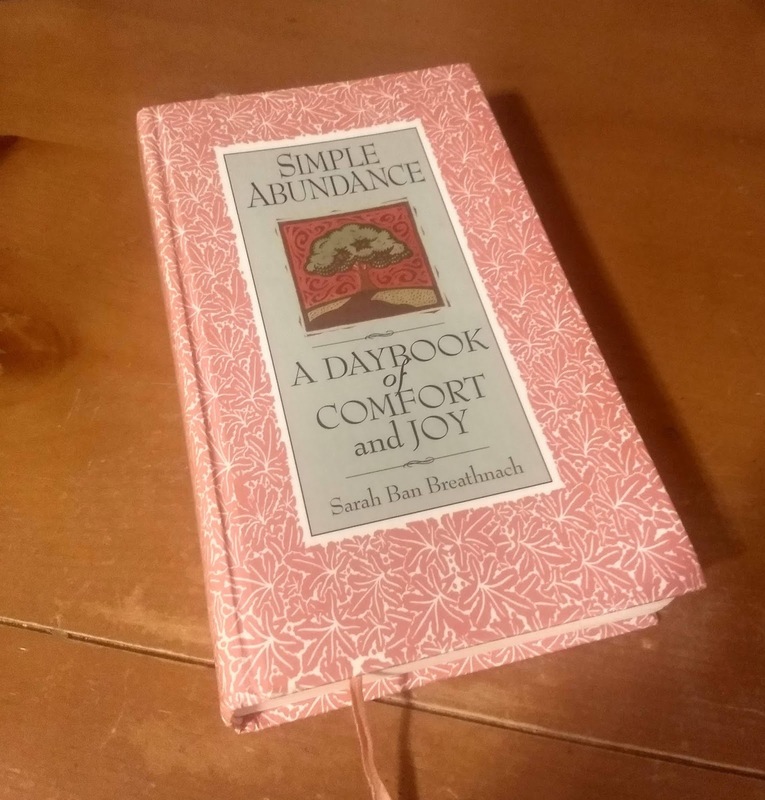 In 1995, Sarah Ban Breathnach published Simple Abundance: A Daybook of Comfort and Joy. I don’t remember how I heard about it, or even if I bought my copy soon after it was published, but I expect I did. Even then, I was attracted to its concepts, and I loved the daybook format, where I could read little bits of inspiration in bite-sized pieces. In 1995, I was a young mother, my son less than a year old, and that first year was tough for many reasons. I can easily see myself turning to a book like this for encouragement. Simple Abundance has sold over five million copies in the US and topped the New York Times Bestsellers list for two years. Simple Abundance is responsible for introducing two concepts—the “Gratitude Journal” and the term “authentic self" into the American conversation. She’s the author of 13 books. In addition to Simple Abundance, she wrote Something More: Excavating Your Authentic Self, Peace and Plenty: Finding Your Path to Financial Serenity, and she created The Simple Abundance Journal of Gratitude. Ban Breathnach has weathered some serious ups and downs, including failed marriages, an accident that left her bedridden, and losing all the money she made from Simple Abundance. I had forgotten how many of the suggestions put forth in Simple Abundance I’ve experimented with. For example, I have an “Illustrated Discovery Journal” (January 28), take the occasional “Creative Excursion” (February 1), and have, at times, possessed a “Comfort Drawer” (March 7). I suspect her influence lurked deep in my heart when I created Catching Happiness with its focus on simple pleasures and everyday adventures. It’s also my secret ambition to write a book similar in format to Simple Abundance—a daybook to which readers could turn for a little inspiration and encouragement. Perhaps it’s time to start writing, and to start mining Catching Happiness for material to be included. I’ll reread parts of Simple Abundance this year for inspiration. I think Sarah Ban Breathnach would approve. Have you ever read Simple Abundance, or any of Sarah Ban Breathnach’s work? What did you think? Is there another daybook or author you’ve found inspirational or encouraging? Dear Kathy I have read "Simple Abundance" - many years ago. I also find Joyce Meyer an inspirational writer with practical advice for daily living. Thanks for the encouragement, Debbie! Oh thank you! I haven't read the whole book so look forward to reading more ideas. I read her book from time to time in French and I copy passages into a French journal that I keep. I love that book. At one point I was reading Pema Chodron. Most recently the whole Bullet Journaling thing is a great help, and Marie Kondo. Rita--that's so cool that you can read it in French. My French is sooo not up to that, but it would be a good way to practice. I love Pema Chodron, thanks for the reminder. I know there are several of her books I haven't read.